When Alex Mason, Customer Implementation Manager for Interxion saw the hot air escaping around the sides of the server rack cabinets and being sucked back into the servers, he knew that cold aisle containment was the best way to improve energy efficiency in his data centre. “As part of our company wide commitment to improving energy efficiency we keep close measures of the PUE (Power Usage Effectiveness) and are continuously looking to improve our power infrastructure,” Alex explains. Dataracks brought in a thermal imaging camera to show what was actually happening in the data centre. The thermal analysis revealed short circuiting, hot spots in the aisles and cold and hot air mixing and places where cooled air escapes rather than moving through the IT load. It was obvious that Cold Aisle Containment was required. 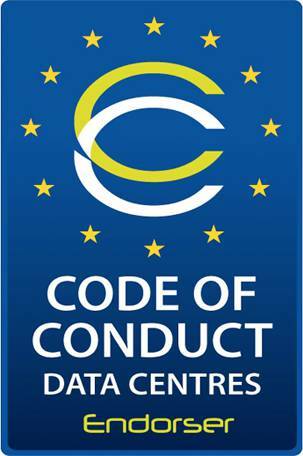 Dataracks then began working on upgrading the data centre in line with the latest EU Best Practice recommendations for improving data centre energy efficiency. Retrofitting the energy saving measures within the ten year-old building was not an easy job – especially as there wasn’t a straight line in the building and every aisle had a different mix of manufacturer’s cabinets. Working in a live environment, the highly experienced Dataracks installation team even had to re-manufacture some parts when the specification changed in the middle of the job. When it was found that one aisle had an oversized cabinet that interfered with the roof, Dataracks redesigned the roof section to accommodate this. As the Customer Implementation Manager, Alex has valued having a close involvement with the design process. Dataracks designs and manufacturers rack cabinets and components for Cold /Hot Aisle Containment at its UK headquarters, which means that it can create bespoke systems for clients with a rapid response time. The Dataracks team worked closely with Interxion on the development of self-closing aisle doors that would work without any energy input. Alex believes the benefits are undisputed. “All new areas will have cold aisle containment from day one, because it is foregone conclusion that it is beneficial. So any new customers will benefit from it immediately,” he says. Alex has found working closely with a responsive partner very beneficial. “Choosing Dataracks and the continuing relationship with the team has been so important, particularly because of the flexibility they offer. In this building nothing is as it seems, so Dataracks’ unique ability to turnaround designs and make a change is a real plus.